Do you remember eating pop tarts as a kid and wondering what magic process was used to make them? Well, wonder no more. 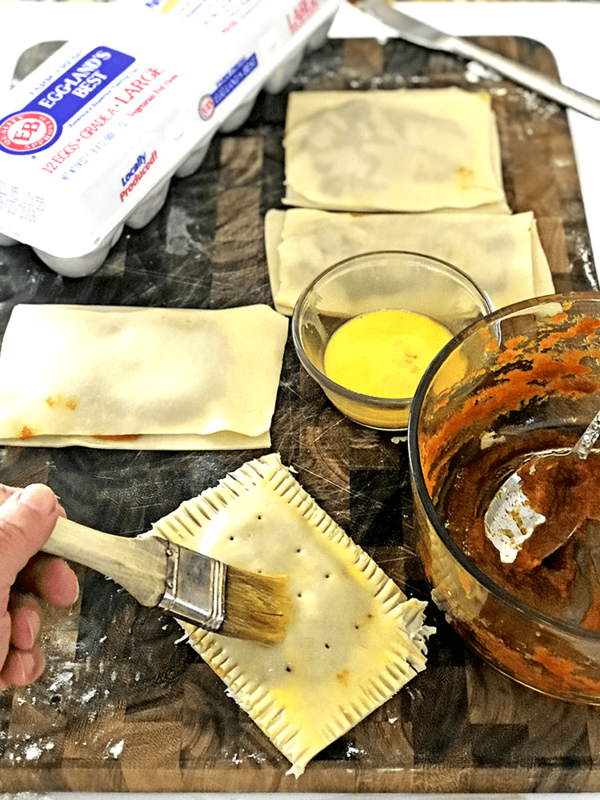 Today I am showing you, step-by-step, how to make the best pumpkin pie pop tarts ever and there is no magic involved! This post is sponsored in conjunction with #PumpkinWeek. All opinions are our own. Pop Tarts are easy to make from scratch and so much better than store-bought ones! 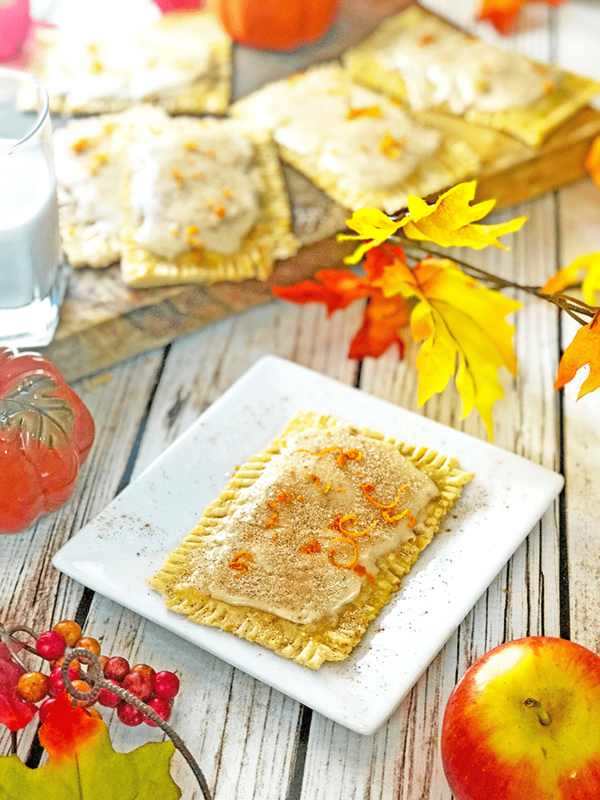 We are featuring these homemade pop tart as part of pumpkin week here on Platter Talk. 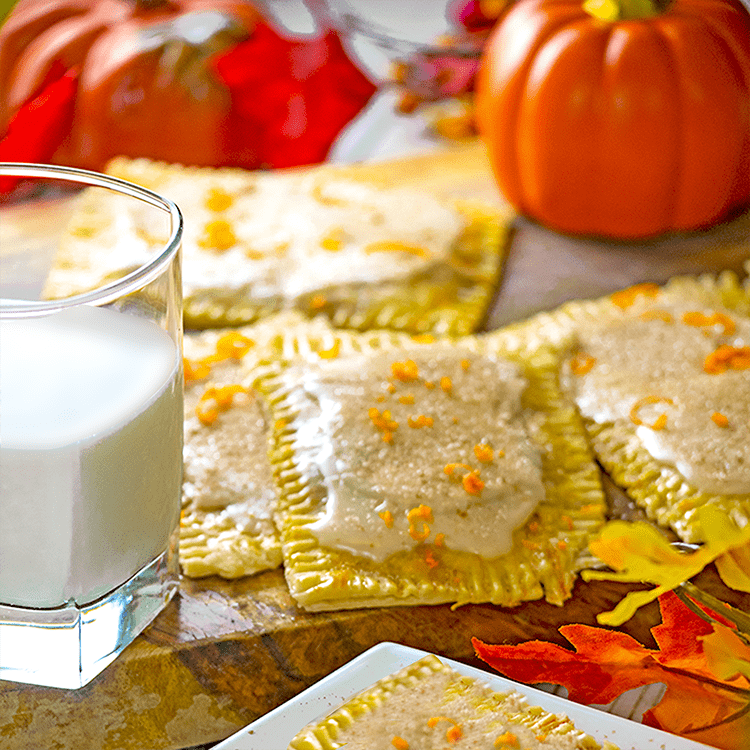 Together with about 40 other food sites, we are featuring pumpkin recipes all week long! 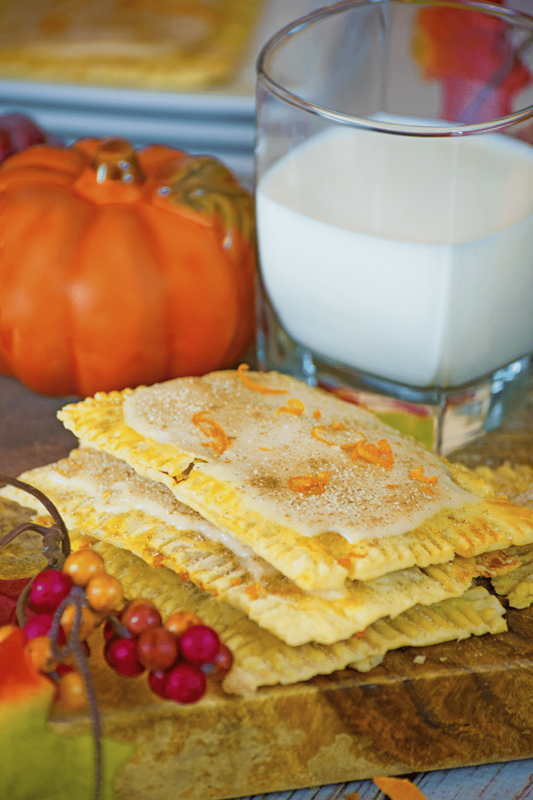 This pumpkin recipe may be the best pop tarts you will ever taste! I have been thinking about making homemade pop tarts for a while now. I was looking for the right filling, and I can say that I hit the jackpot with this pumpkin pie idea. Both a rolling pin and pizza roller are handy tools for making pop tarts. Start this pop tart recipe by lining a large baking sheet with parchment paper. 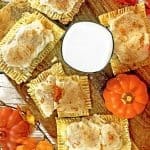 These pumpkin pop tarts are not only better than the store-bought ones; they’re crazy fun to make! 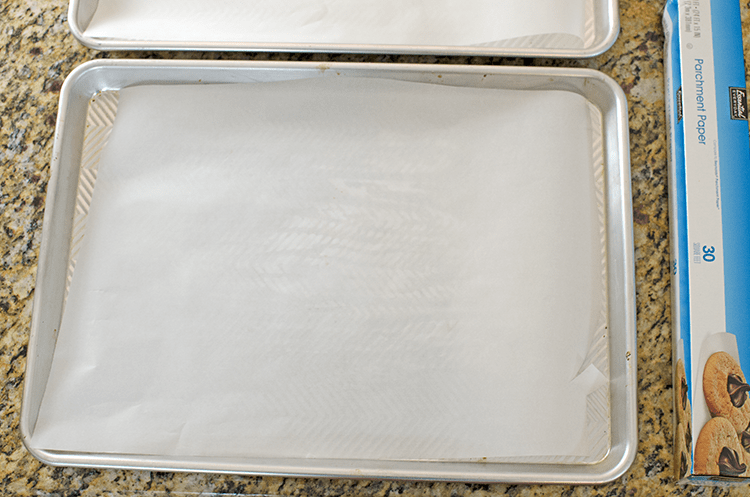 Begin by preheating your oven to 400° F. Then, line a large baking sheet with parchment paper. 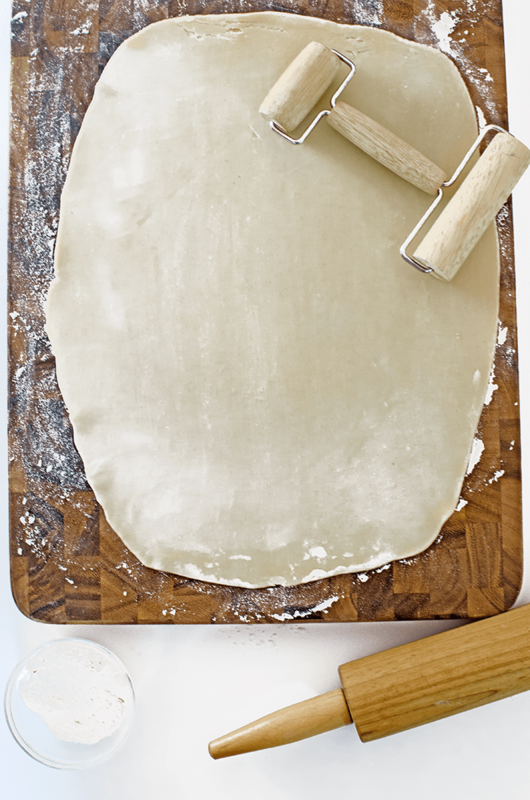 Next, lightly flour a cutting board and roll out a sheet of refrigerated pie crust. Try to form a rectangle, about 11″ x 15″ in size. A pizza roller works great to shape the edges, and you can use a table knife to square them off. 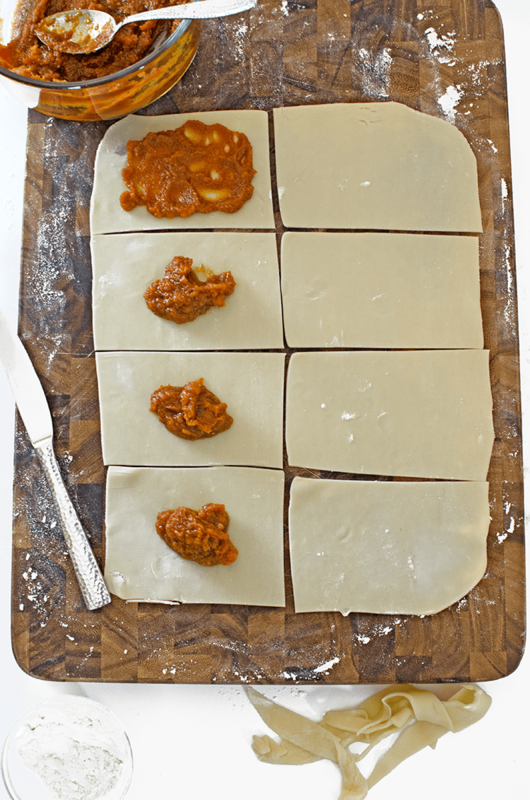 Roll and shape the dough into an 11″ x 15″ rectangle. Divide the rolled-out dough into eight equal segments, as shown. Combine the filling ingredients for these pop tarts. Use a table fork to stir the pop tart filling. 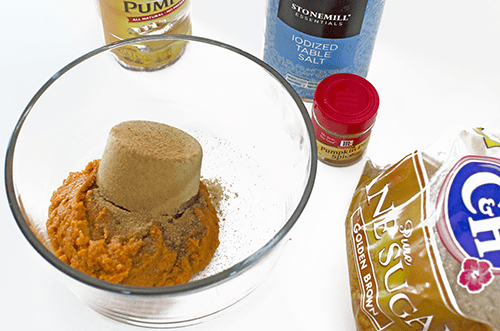 Next, use a small mixing bowl and combine the pumpkin, brown sugar, salt, and pumpkin spice. Stir the pop tart filling with a table fork, until smooth. Add the filling for the pop tarts. Use a tablespoon and add a dollop of the filling to one-half of the pop tart squares. Spread it out leaving about a half inch or so from the sides. Crimp edges of pop tarts with a fork. Created vents in the pop tarts, using a tooth pick. An egg wash is used to make the pop tarts glossy and golden when they come out of the oven. If you have ever asked, “What is an egg wash?” It is merely a way to dress up pies and pastries. Using an egg wash will add a golden sheen to these pop tarts and make them even more mouthwatering! To make an egg wash, just beat an egg in a small bowl. 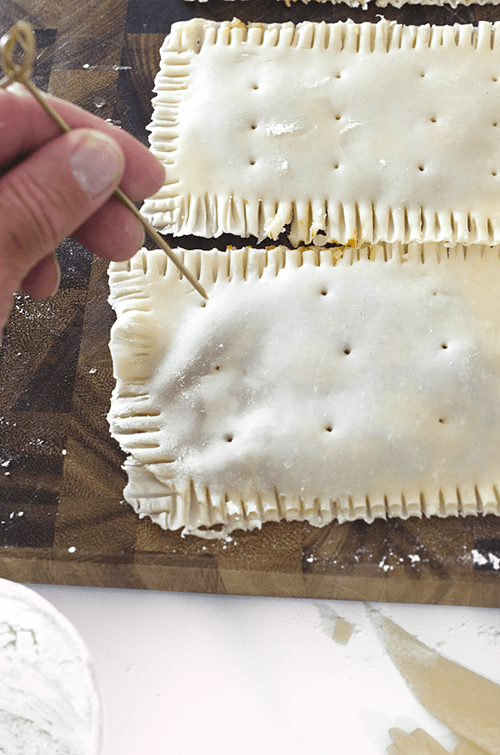 Then, use a pastry brush to apply a light layer of the egg wash to the outside of the pop tarts. Place the pop tarts on the prepared baking sheet. 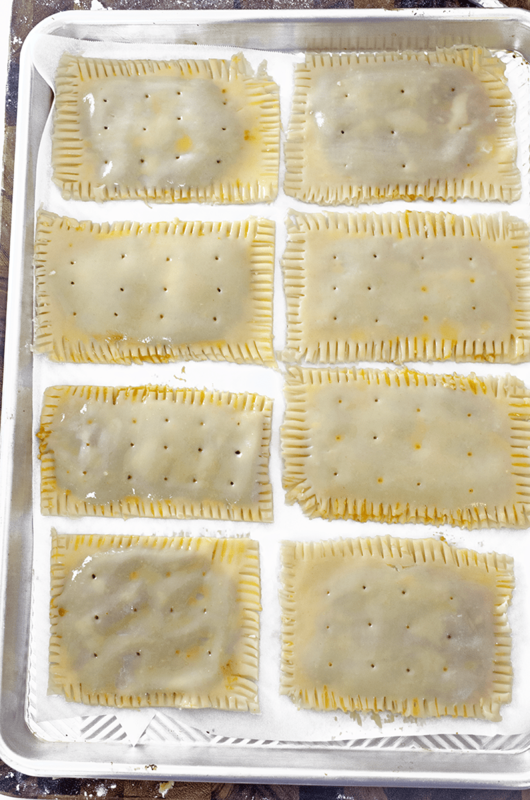 Place the unbaked pumpkin pie pop tarts on the parchment paper-lined baking sheet. Then, bake them at 400° for about 20 minutes or until golden brown. While the pop tarts are cooling, make the icing. Allow the pop tarts to cool for 10 minutes on the baking sheet after you take them out of the oven. Then, transfer them to a wire cooling rack and let them cool to room temperature. While the pop tarts are cooling, you can make the icing. Use a spoon to top each pop tart with the icing. Prepare the pop tart icing as directed and adjust consistency as needed. Garnish with cinnamon sugar and orange zest for a little extra flavor and curb appeal! 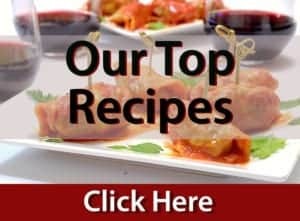 We have many more pumpkin recipes here on Platter Talk and below are just three of our most popular recipes for you to taste! 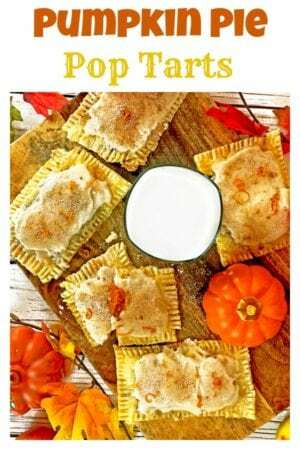 This pop tarts recipe is an easy recipe for kids and an excellent opportunity to get your kids in the kitchen. You will help create life skills and memories for both you and them that are sure to last a lifetime. 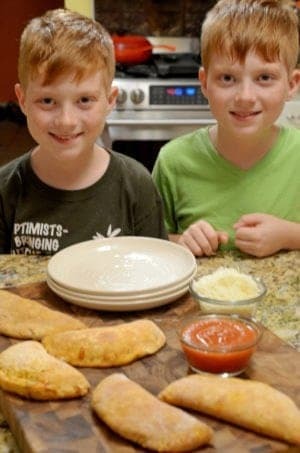 Easy Calzones are one of our easy recipes for kids. 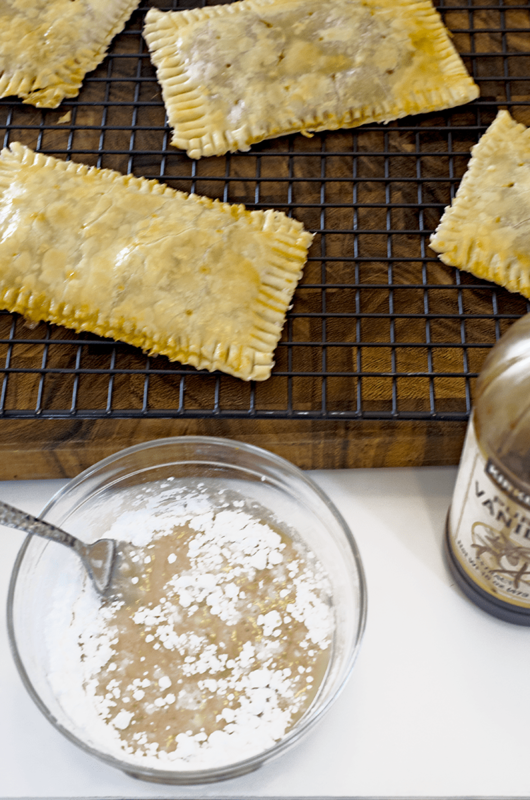 Try these pop tarts made from scratch in your own kitchen! Preheat oven to 400° F. Line a large baking sheet with parchment paper. 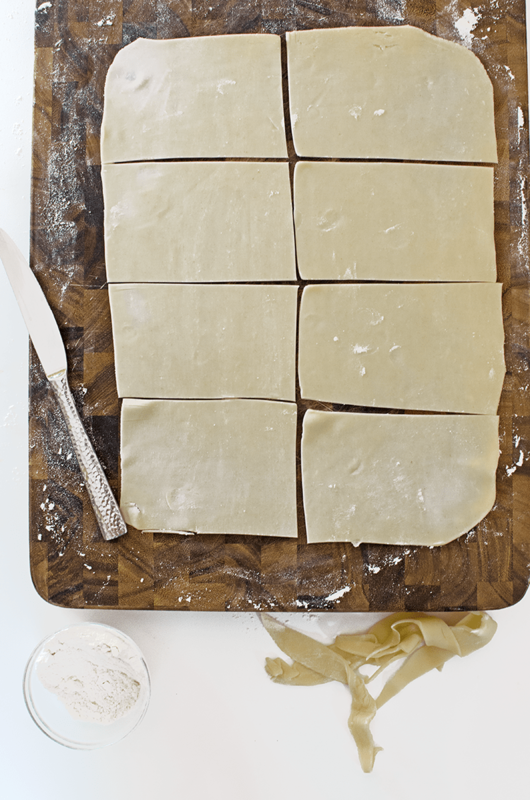 Lightly flour a clean rolling surface and roll a pie crust into a rectangle shape, roughly 11" x 15". Trim ends and sides as necessary to keep edges straight. Use a table knife and divide the crust in half, lengthwise. Then, divide each half widthwise. 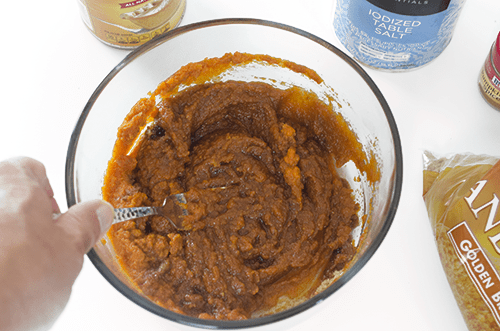 In a small mixing bowl, combine pumpkin, brown sugar, pumpkin spice, and salt. Use a table fork to mix until smooth. Use a tablespoon and place a dollop of filling to half of the cut-outs. Spread evenly, staying 1/2" away from edges. Place a cut-out without filling on it on top of one that has the filling. 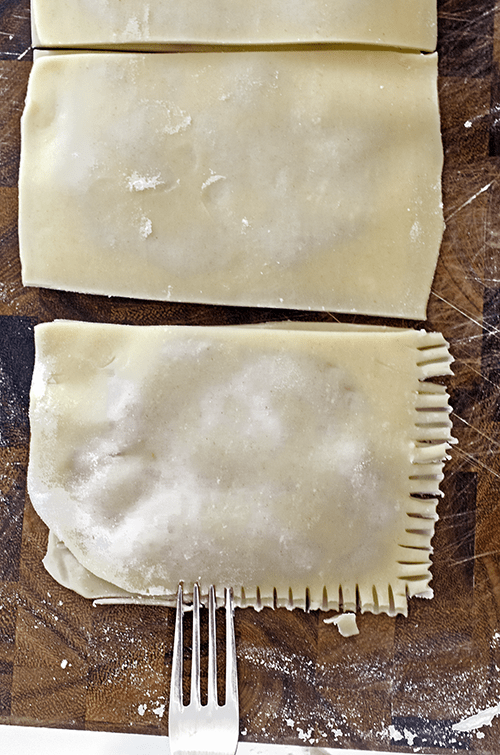 Use a table fork to crimp the edges. Next, apply a light egg wash to each pop tart and use a toothpick to poke ventilation holes in each top. Repeat process with second pie crust. Place in oven for about 20 minutes, until golden brown. Then, remove from oven and allow to cool on the baking sheet for 10 minutes. While the pop tarts are cooling, prepare the icing. Use a small mixing bowl and combine powdered sugar, milk, and vanilla extract. Adjust sugar to milk ratio so the icing is not too thick but thin enough to spread. Using a flat spatula, remove pop tarts from baking pan and place on wire cooling rack and allow them cool to room temperature. Then, apply an even coat of icing on each pop tart. Sprinkle on a layer of cinnamon sugar and garnish with optional fresh orange zest if desired. Pin this Pop Tart Recipe for Later. 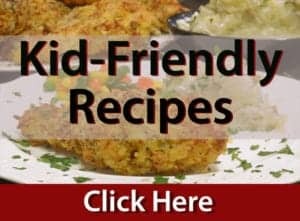 Be and check out all of the great pumpkin recipes below! Pumpkin Chocolate Cheesecake Bars from Who Needs A Cape? Thank you PumpkinWeek Sponsors: Dixie Crystals, Cabot Cheese, and Eggland’s Best for providing the bloggers with samples and product to use for PumpkinWeek recipes. All opinions are my own. I would store them in an air-tight container or zip-lock bag. They should keep for 5-7 days and reheat. nicely. Thanks for the great question. Oh yes please! Love a a good poptart! Great Fall breakfast! These would disappear in our house! This is such a great idea to satisfy my kid’s sweet tooth! They will love this! Oh Dan, I want to make these. But I still feel so baking challenged. Ship some to me? Purdy please? mmm I love recipes from pumpkins! I want to eat it every day! I’m sure this is very tasty. This is a great recipe for me. Perfect little breakfast hand pies. I LOVE knowing every single ingredient in these! What a great breakfast option that I can feel good feeding my kiddos! Thanks for the kind comments. I tried my best not to indulge in these homemade pop tarts but I’m not gonna lie. That one that was broken for the photo… it had my name on it and let me say, I’m glad I caved in! I hope you try these pop tarts and I know you’re kids will love them as well! 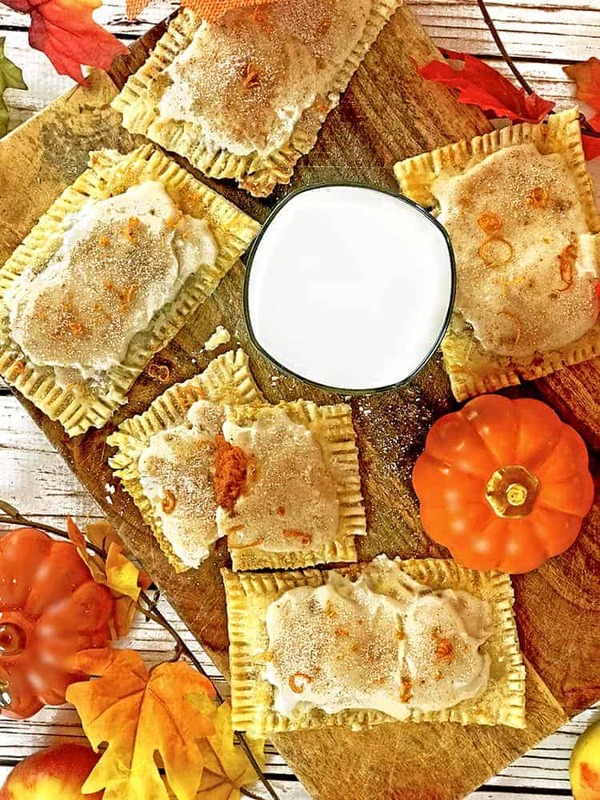 I saw homemade pop tart and swooned, then you put pumpkin in them and I now am craving this in a major way! Brilliant! Thanks, Michele! 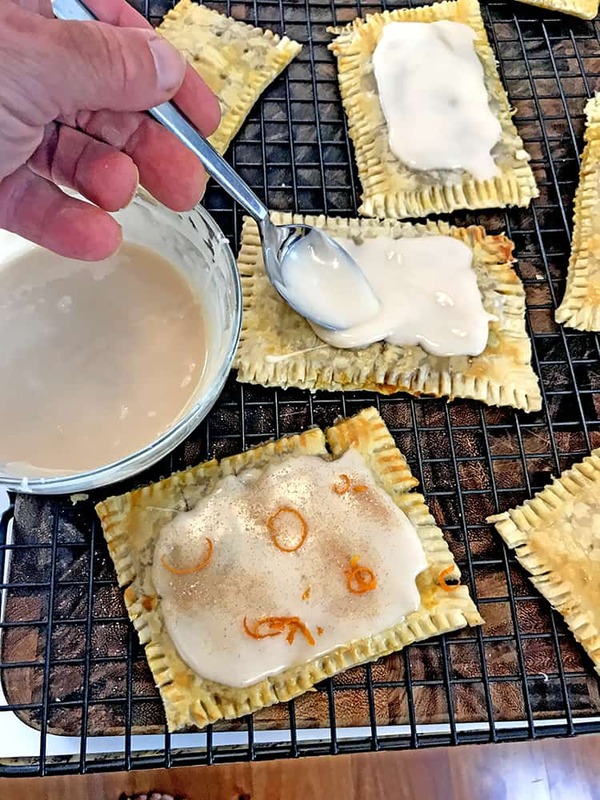 I hope you try these homemade pop tarts, they are fun to make and sooooo much better than the stuff that’s sold in the stores! I love your step by step photos, and the touch of zest on top of the tarts is such a nice touch! So glad to have discovered your blog. Thanks so much, Karen! We had fun making these homemade pop tarts.